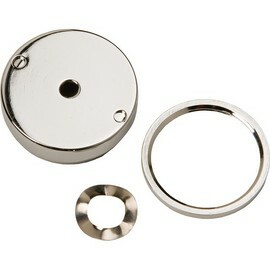 Push button assembly has a polished chrome-plated finish. 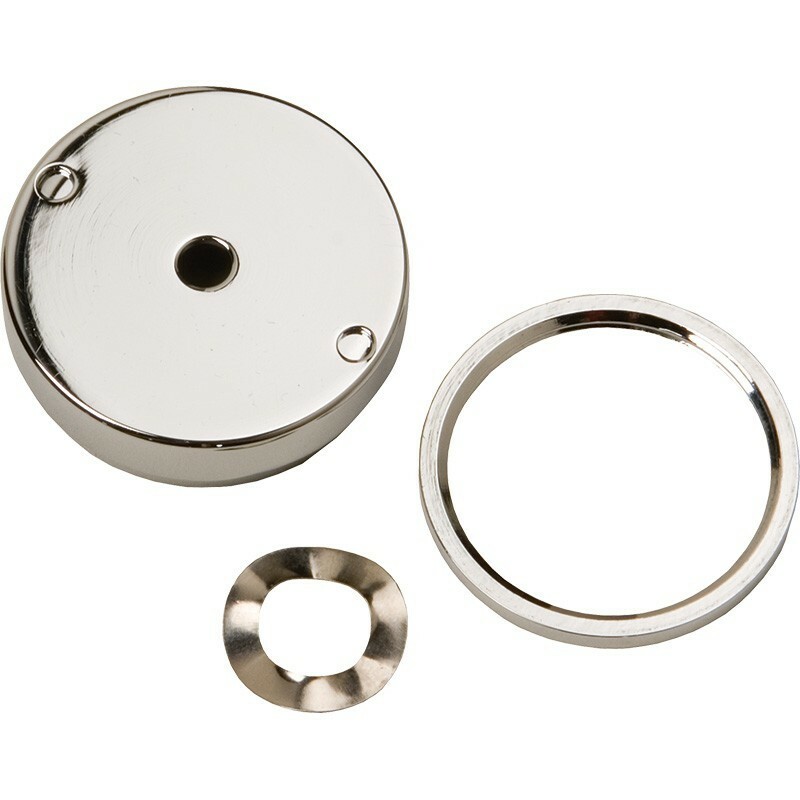 Model PBA7 push button assembly is used with push button valve 5874, is made of polished chrome-plated brass, and includes the push button with front adjusting screw, operator, round locknut, snap ring and wave washer. This model is used on drinking fountains with front recessed push buttons and for drinking fountains with thick walls.